I builded it with the Carrara modeller and made in the same time a bottle to drink until the sun comes out. 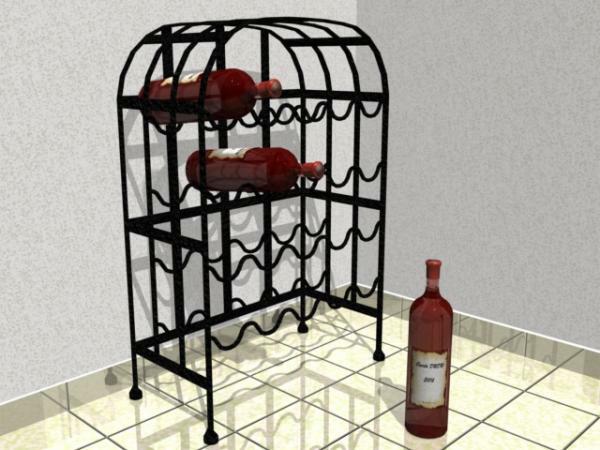 OK, I downloaded this new updated file, imported the rack and the bottle into Hexagon and it works. I'm sorry, it's an export from Carrara. I will look that after my job, this evening. Semicharm (3 years ago) Inappropriate? The obj version for "PrÃ©sentoir Ã vins" didn't export correctly.